There is still silver in those parks! Those that are left are elusive, deep or in trash. 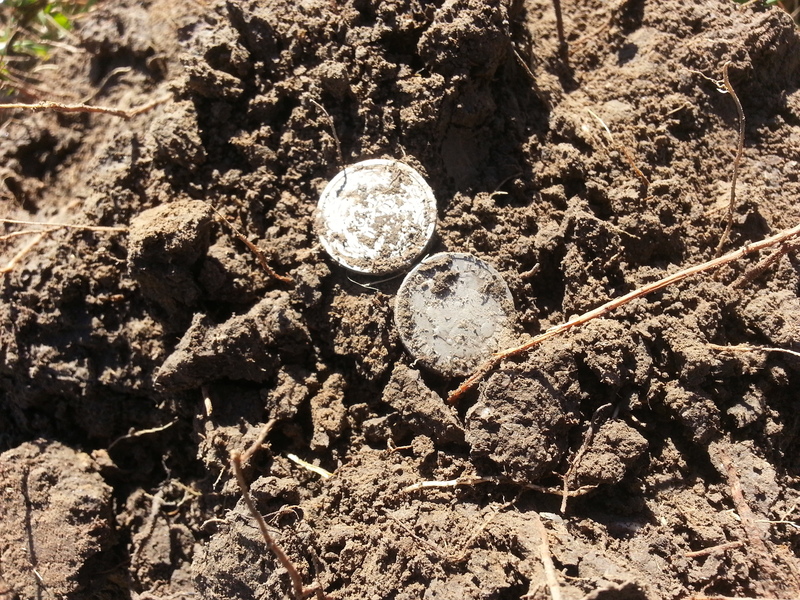 The most notable find was two Barber dimes in the same hole. I went back to an area of the park where Barbers and Indian head pennies had been found before. 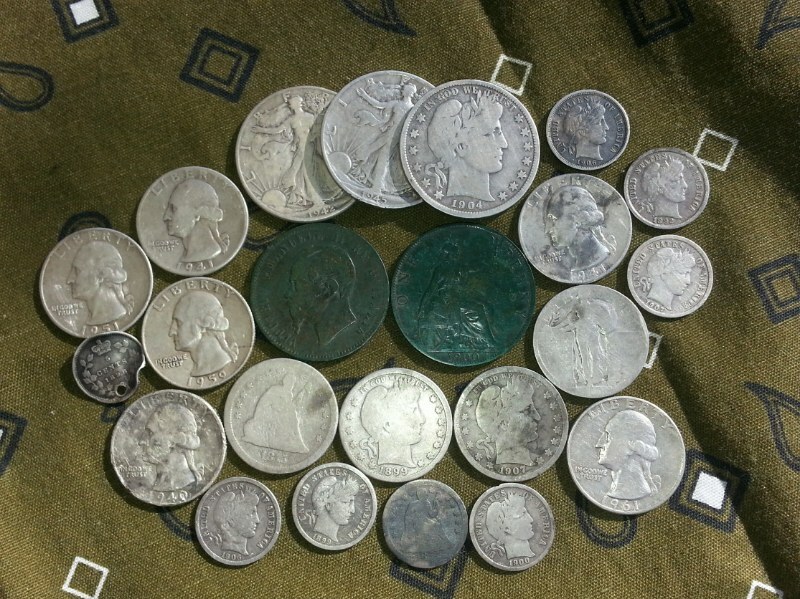 I figured I might manage to hit another Indian or stray silver. After hunting a bit, I came across a target with interesting numbers. The best, but infrequent set of numbers were 1-39, 1-40. Those numbers deep are always “dig me” numbers. As I pulled my plug I saw something silver fall to the bottom of my hole. Much to my surprise it was a silver Barber dime. I checked the hole with my pinpointer only to find silence. When I scanned the plug the pinpointer started chattering towards the tip. About a 1.5″ in the tip was another Barber dime. A barber coin spill dating 1898 and 1899! Thats why I still metal detect! I don’t understand why the signal was so weak or with such bad numbers. There was no other meatal in hole, but there was trash and iron around the hole. I didn’t think it was close enough to have much of an impact. Since my last post I’ve managed to find additional silver including silver rings. 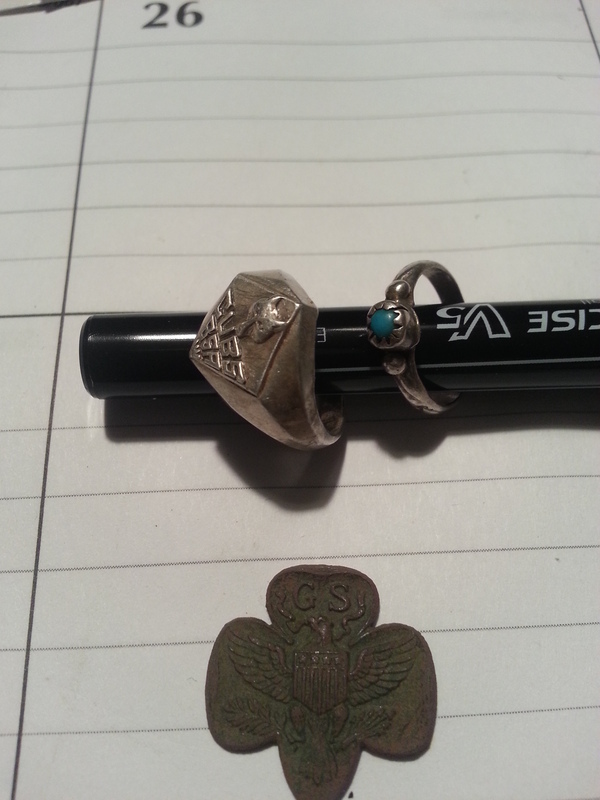 One was my second boyscout ring. My silver coin count is at 30. A far cry from my previous successes. I have about a month to add some more and we will see how it goes. Good luck and good hunting.